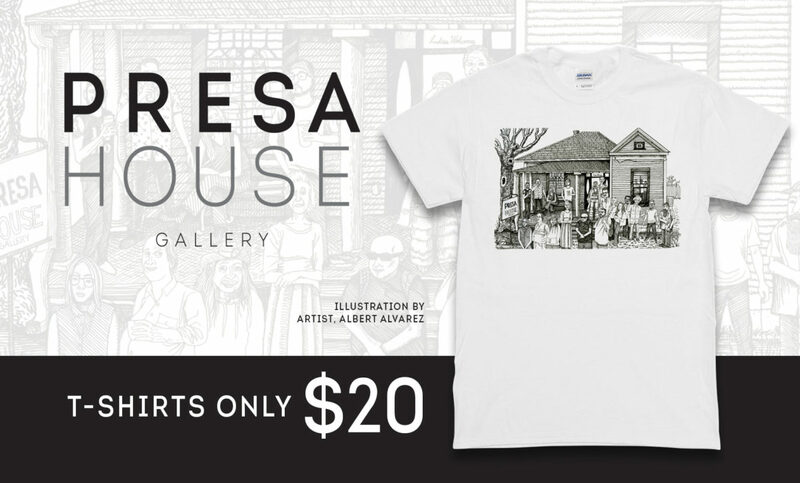 Purchase our Official Presa House T-Shirt illustrated by artist Albert Alvarez. 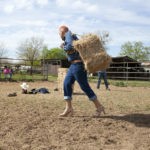 A prolific draftsman and painter, Alvarez’s meticulously composed works have been exhibited throughout San Antonio and are in the permanent collection of the San Antonio Museum of Art. 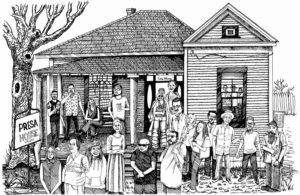 The illustration features our house located in San Antonio’s Lavaca Historical District, and features many familiar Presa House Gallery & Southtown area faces. 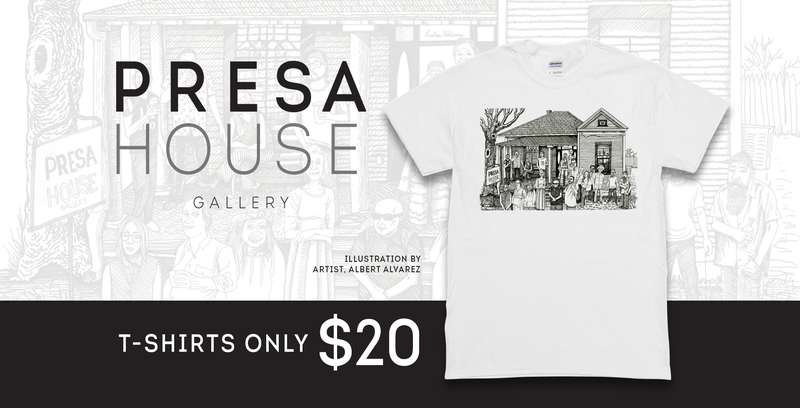 T-Shirts are available for $20.00 plus tax at the gallery or online with an additional $5.00 shipping cost. 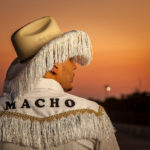 Available in XXL, XL, L, M, and S sizes.